In your August 10th issue, the editor wrote an article entitled, “Nature Has the Rx.” She is promoting the use of natural drugs to solve health problems and I have no problem with the use of homeopathic remedies but she doesn’t tell the reader that they need to consult with their doctors before using ANY drug whether it is prescription, OTC or homeopathic. Her last sentence says to see your physician for “serious medical problems.” Just because it doesn’t require a prescription does not mean it is not a drug and all drugs should be reported to your physician because some interfere with one another or with prescription drugs or could cause a myriad of other problems due to other medical conditions. This is twice she has given dangerous medical advice in her column. The last time it was when she incorrectly listed the signs of anaphylaxis. Please hire a medical professional to proofread her columns before someone gets hurt. Referring to your issue of August 17-23, 2018, on page 9 the caption of the photo of the baseball pitcher identifies him as Tommy John, but actually that is a photo of Dodgers Hall of Famer Sandy Koufax. The picture on page 9 is Sandy Koufax (#32), not Tommy John as listed in the caption. Enjoyed the article.Always enjoy your paper. 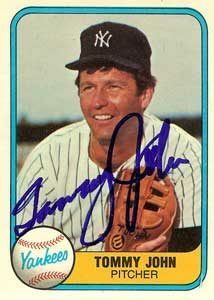 A famous arm surgery is named after Tommy John. Our Crime Watch report will return next week.